The Honda Civic Type R just broke another lap record. This time, it clocked a 2:01.51 sec lap at the Magny-Cours GP circuit in France—the fastest for a front-wheel-drive production car around the track. Behind the wheel of the Type R was WTCR driver Esteban Guerrieri, who is participating in the 2018 FIA World Touring Car Cup in a Honda Civic TCR with Münnich Motorsport. The Magny-Cours GP circuit is a 2.74-mile track with a blend of slow hairpins, high-speed chicane sections, and long straights. 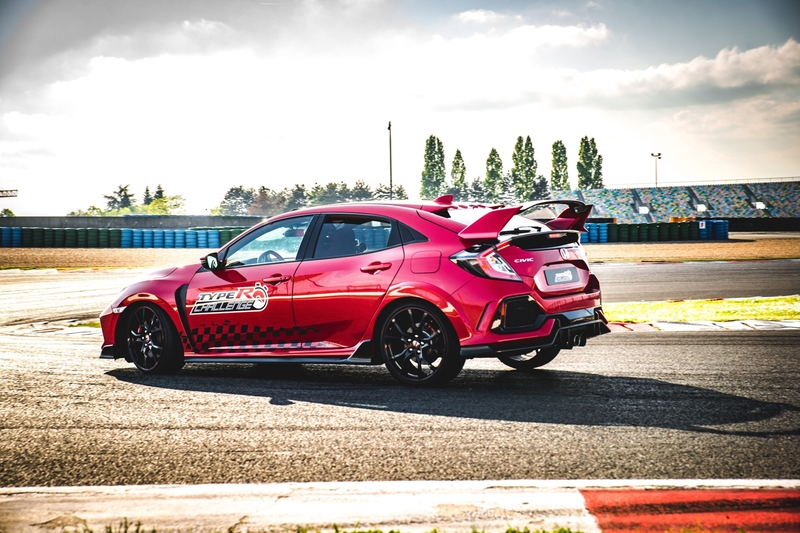 Helping Guerrieri set the lap record was the Civic Type R's famed 2.0-liter VTEC Turbo engine that produces 316 horsepower and 295 pound-feet of torque at the crank in U.K. spec. The hatchback’s aerodynamic package also gives it a good compromise between lift and drag and is very well suited for the French circuit, as Honda tells. In the Civic Type R’s +R mode, the Adaptive Damper System produces a firmer ride that allows its to stay flatter through corners too, for improved overall dynamics. And for everyone's notice, the record-breaking car was a standard production vehicle that ran on road tires. 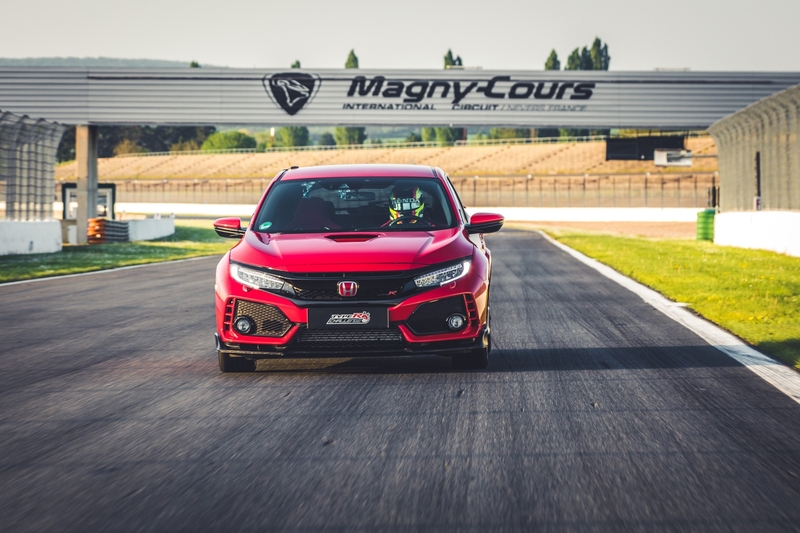 Having broken the lap record at the Magny-Cours GP circuit, the first of the five record-breaking attempts of the "Type R Challenge 2018" has been completed. In the near future, we will see Honda racing professionals attempt to break front-wheel drive production car records at four other European racetracks in the same production specification Honda Civic Type R.
The driver line-up for the other attempts will include former Formula 1 World Champion and current NSX Super GT driver Jenson Button (U.K.), WTCR driver Tiago Monteiro (Portugal), NSX Super GT star Bertrand Baguette (Belgium), and BTCC legend Matt Neal (UK). It is interesting that Matt Neal was found a good fit for the Civic, considering he is six feet, six inches tall. This isn't a first for Honda. 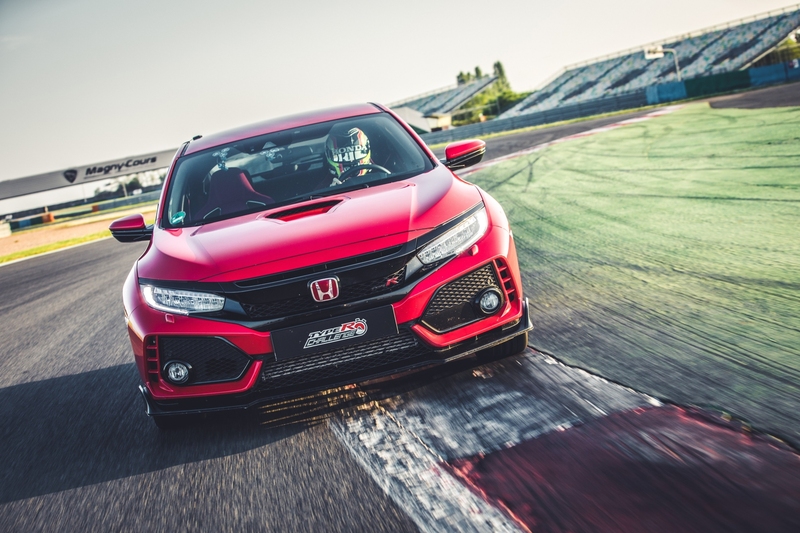 In 2016, the Japanese manufacturer set lap records at Estoril, Hungaroring, Silverstone, and Spa-Francorchamps using the previous-generation Civic Type R. And in April 2017, a product development car became the fastest front-wheel-drive road car ever around the Nürburgring Nordschleife, with a lap time of 7min 43.8sec.